When I was a rebellious little punk teenager, the only Brown I saw on stage at shows was Tony Kanal playing bass in No Doubt. And he was dating bindi wearing Gwen Stefani, who was by far the coolest rock chick ever. It wasn’t until I stumbled upon Sepia Mutiny as a reader that I noticed other punk, alterno, progressive musicians – the most prominent one being of course, M.I.A. Here we are in the last week of Sepia Mutiny. On these pages as a reader, I’ve discovered some of my favorite songs and as a writer, I’ve gotten to interview some of the most amazing people. 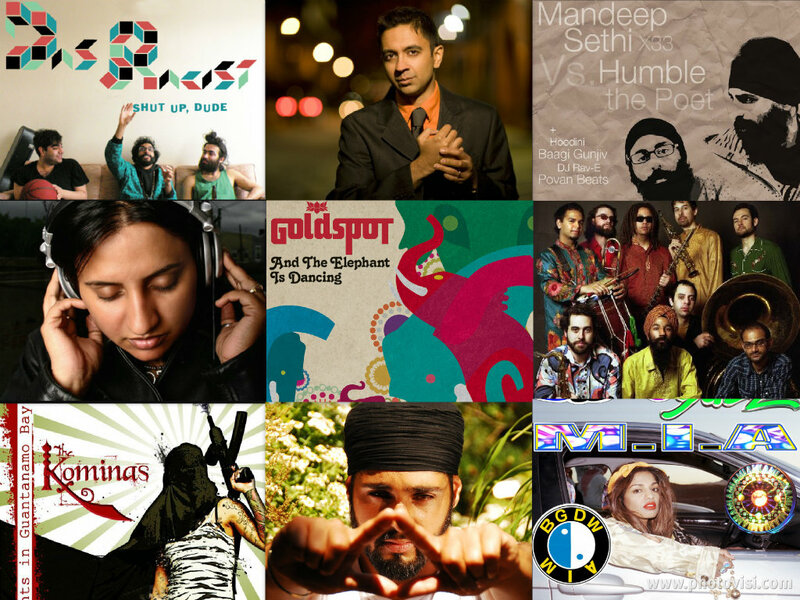 I’ve loved discovering new Desi music and examining musicians exploration of hyphenated identities through lyric, music and movement. Since I love lists – what better way to remember this then… a Top Ten Favorite Mutinous Music Moments. Das Racist – Despite Abhi’s first post where he made his firesauce prediction that Pizza Hut, Taco Bell was going to be a Desi fave, could we have suspected these guys would have exploded the way they did? They’ve gone from a YouTube sensation to dropping Shut Up, Dude & Sit Down, Man & Relax to selling out shows as an international music sensation. But by far, PhillyGrrl’s interviews Part 1 & Part 2 were my most favorite interviews to grace these pages. Vijay Iyer – He’s gone from Still Life with Commentator in 2006 to the #1 Jazz Album of the year IN 2010 for Historicity. Sugi’s interview with Vijay is one of the sweetest interviews Part 1 & Part 2. The Kominas – Who would have known when I first blogged about these guys in 2006, that my life as a blogger would get so intimately intertwined w/ this band and the taqwacore scene? My first interview with Basim Usmani goes down as one of my favorites. Following the growth if this band personally has been epic to say the least, whether following them on cross country TaqwaTour or as my “camera crew” at Sundance for my Aamir Khan interview. Epic, indeed.